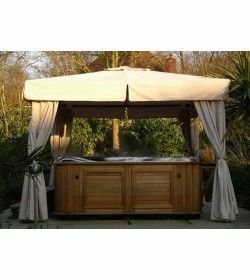 Garden Furniture Spains deluxe wooden gazebos give a look of Quality and sophistication to any Spanish Garden or Terrace. 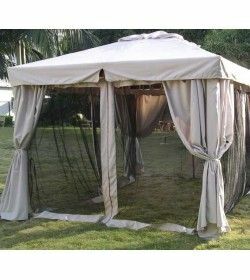 Manufactured using the highest quality materials these gazebos will look perfect in your garden in Spain. 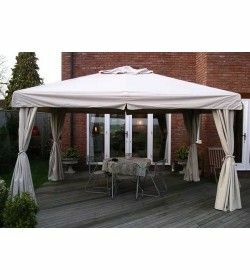 Our Gazebos can be used for Dining areas, hot tub enclosures or just somewhere to sit relax and escape the hot Spanish sun. Wooden Gazebos There are 16 products. 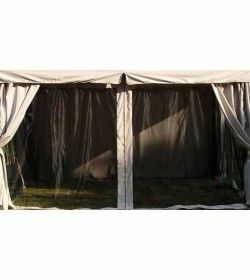 300cm x 300cm delux gazebo replacement canopy, only fits delux gazebos. 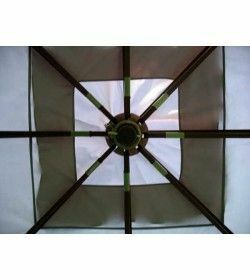 300cm x 300cm riveria gazebo replacement canopy, only fits riveria gazebos. 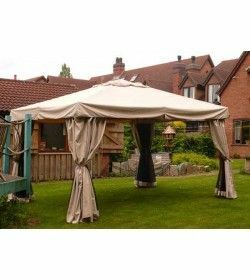 The Riveria wooden gazebo combines a hardwood frame with a fully waterproof canopy, side curtains & mosquito nets will surely add a touch of elegance to any garden setting. 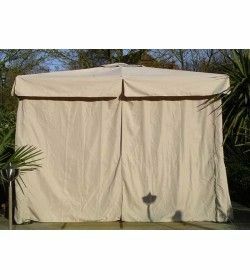 400cm x 300cm riveria gazebo replacement canopy, only fits riveria gazebos.